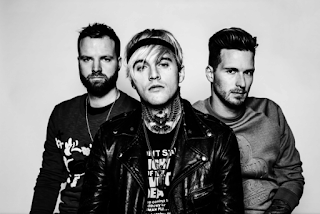 Highly Suspect today release the official video for their new single, "Little One," available via 300 Entertainment. “Little One" is the second single from the band’s critically praised sophomore album, The Boy Who Died Wolf, which debuted at #1 on the Current Alternative Album and at #2 Rock Album on the Billboard Charts. To date, the album has spent over 22 weeks on the Billboard charts. “Little One” is the follow-up to “My Name Is Human” which spent 9 weeks at #1 at Active, reached Top 15 at Alternative Radio and was nominated for a GRAMMY in the Best Rock Song category among legends like David Bowie, Metallica, Radiohead, and also Twenty One Pilots. 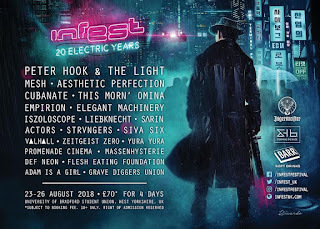 Set in the mid-1980's, the “Little One” video stars band frontman Johnny Stevens as a thrift store manager who is at breaking point, and bandmates Rich and Ryan Meyer as policemen who are hot on his tail. The video was co-directed by DJay Brawner and Johnny Stevens.